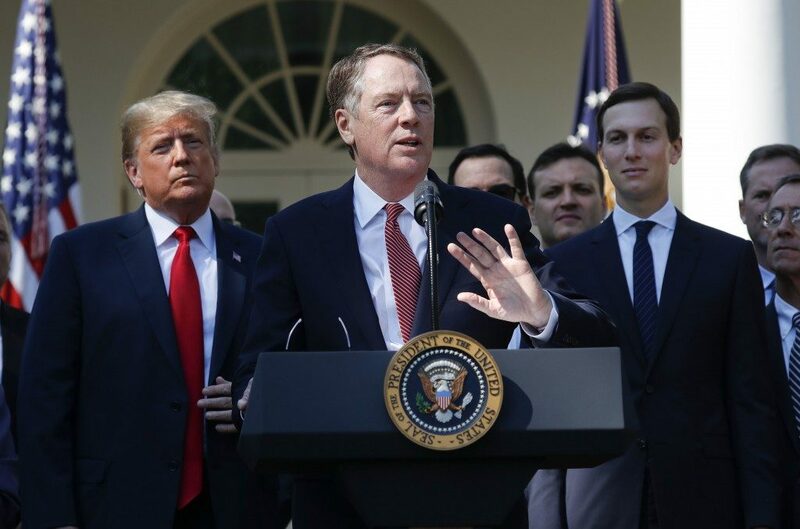 U.S. Trade Representative Ambassador Robert Lighthizer speaking in the Rose Garden after President Trump announced a revamped North American free trade deal. 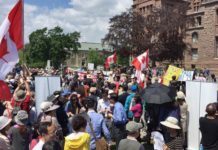 The Chinese embassy in Ottawa has publicly condemned a “poison bill” clause in the new North American trade deal that gives Washington an effective veto over any attempt by Canada or Mexico to agree to a free-trade deal with a “non-market economy” – a provision that is widely seen as targeting Beijing. The Chinese embassy said in a statement dated Friday that the article 32.10 in the US-Mexico-Canada Agreement (USMCA) was “fabricating the concepts of ‘market country’ and ‘non-market country’ outside the World Trade Organisation framework” and was “the excuse made by some countries to shirk their obligations and refuse to meet their international commitments”. In the statement, the Chinese embassy hinted that Beijing was angry about America’s “hegemonic acts” and felt pity for Canada for surrendering part of its “economic sovereignty”. “We condemn the hegemonic acts by related countries of publicly interfering with the sovereignty of other countries, and we feel sorry for the damaged economic sovereignty of the countries concerned,” the embassy’s spokesperson, Yang Yundong, said in the statement. 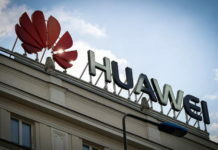 The statement was the first public response from a Chinese government agency to the clause since the USMCA deal was reached a week earlier. The new deal, which replaces the 24-year-old North America Free Trade Agreement, stipulates that any of the three parties to the deal has the right to be informed about any negotiations about a free-trade agreement with a “non-market economy” at an early stage, and can review any such deal signed by another member. If one of the three were to sign a free-trade deal with a non-market country, either of the other two would have the right under article 32.10 to terminate the trilateral USMCA with six months’ notice and form a deal on the same terms with the third party. The agreement needs to be approved by the governments of all three counties, including the US Congress, which is not expected to take it up until early next year. While the special clause does not name China directly, it could greatly impede China’s future trade talks with Canada or Mexico because US has refused to classify China as a “market economy” under the WTO framework. US President Donald Trump has imposed tariffs on nearly half of Chinese exports to the US as a way of pressing Beijing to change a number of trade practices that range from alleged technology theft to subsidising state-owned enterprises. The Chinese government has retaliated against Trump’s tariffs and insisted that it has done nothing wrong, while painting itself as a defender of free trade and multilateralism. US Commerce Secretary Wilbur Ross said on Friday that the provision was a “poison pill” with China as the intended target and Washington may replicate it in trade deals with other trading partners, Reuters reported. The US is now in the early stages of talks with Japan and the EU about free-trade deals. Ross was quoted by Reuters as saying the provision was “another move to try to close loopholes” in deals that have facilitated China’s trade practices. 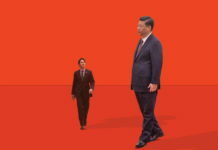 The clause would effectively end any prospect of a free-trade deal between Canada and China – Canada’s second-largest trading partner after the United States. 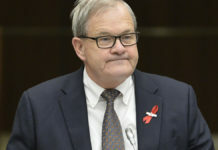 The two countries agreed in 2016 to study the feasibility of such a deal, although it was not taken further and the Chinese government did not mention Canada in its latest comments about potential future free-trade deals. China’s foreign ministry and commerce ministry has yet to make any public comments about the provision partly because last week was a major holiday period in China. 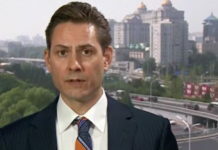 The Ottawa embassy said Beijing would firmly open up to the outside world at its own pace and seek “win-win” trade with all countries that were friendly to China “regardless of trade restrictions adopted by other countries again China”.